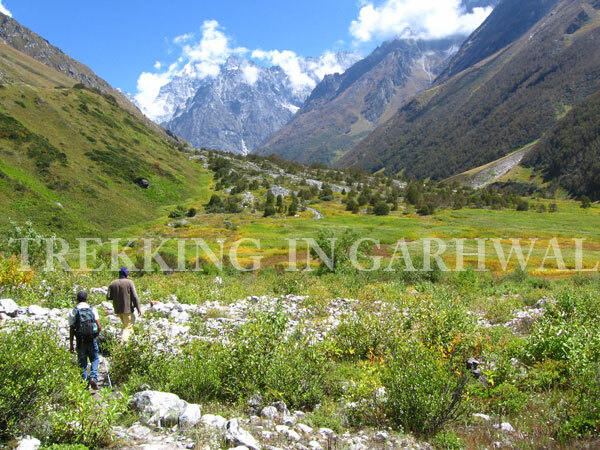 Valley of Flower : The beautiful valley situated at an altitude of 3300 mts to 3650 mts is the paradise of nature lovers. Starting from about 6 kms from Bhuindhar village the valley covers an area of about 87 square kms. 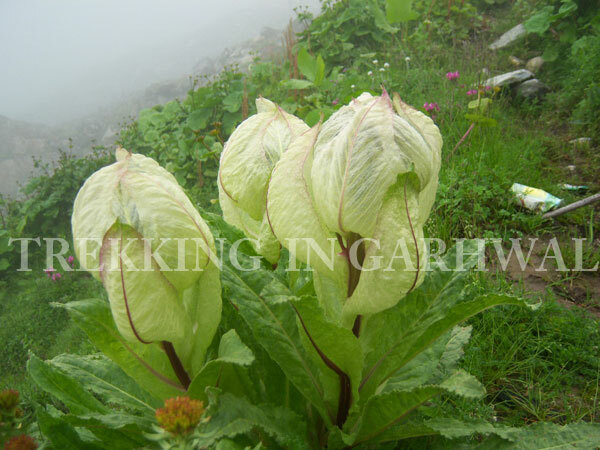 As suggested by its name, the valley is exceptionally rich in its wide variety of flowers wealth. River Pushpawati flows through the verdant valley that teems with flowers from June till early September. 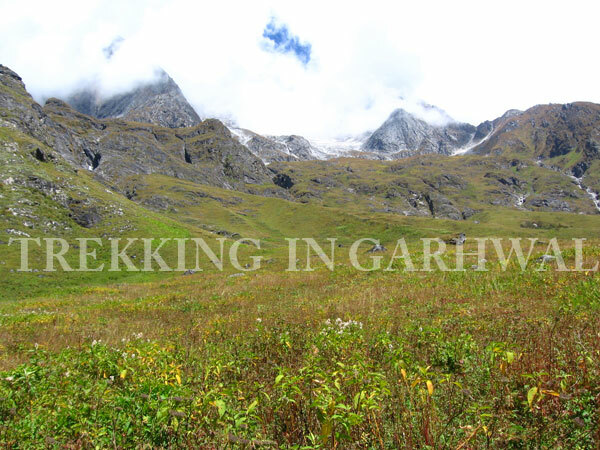 There are about 520 recorded species of flowering plants and the area was declared a National Park in 1982. The animal like Himalayan black bears, Musk deer, Brown bears, Bharals and a rich variety of birds and butter flies call this national Park their home. Hemkund Sahib : The holy lake of Hemkund- an important pilgrimage of Sikhs and Hindus, lies near the Valley of Flowers at an altitude of 3050 mts. The beautifully shaped holy Gurdwara near the lake's edge is visited by large number of pilgrims from all over the world. It is believed that Guru Govind Singh, the tenth guru of Sikhs meditated and united with God at this place. Upon arrival at Delhi airport met our representative and then transfer to pre booked hotel. Overnight in the hotel. In the morning take an AC Train for Haridwar at 06:55 hrs. Upon arrival at Haridwar transfer to Rishikesh and check into hotel. In the evening visit the Ganga river bank for the spectacular and moving Aarti- spectacle of sights, sounds and chanting.. Rishikesh is well known for its scenic beauty and the spiritual experience, and is flanked by the Shivalik range of the Himalayas. It is believed that when Raibhya Rishi penanced hard, God appeared by the name of "Hrishikesh" and this area thereafter came to be known as Rishikesh (Locks of the sage). Overnight in hotel. 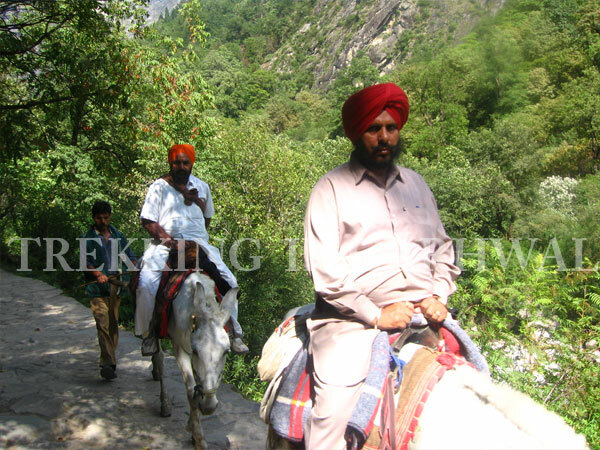 A drive takes one to Uttarkashi along the narrow Ganga and Alaknandavalleys. The road goes past the sacred confluence of The Alaknanda and Bhagirathi rivers at Devprayag where there is a Lord Rama temple called the Raghunath Mandir visited by the great Hindu philosopher - Adi Shankaracharya in 300CE .This town is the home of the late Acharya Shri Pt. Chakradhar Joshi (a scholar in Astronomy and Astrology) who established Nakshatra Vedh Shala (an observatory) in the year 1946. This is located on a mountain called Dashrathanchal at Devprayag. The observatory is well equipped with two telescopes and many books to support research in astronomy. It also contains about 3000 manuscripts from 1677 AD onwards collected from various parts of country. Joshimath : The religious centre, visited by Adi Shankaracharya, which he called Jyotirmath, later came to be known as Joshimath. Among the sites of interest are the temples of Nav Durga and Narsingh. 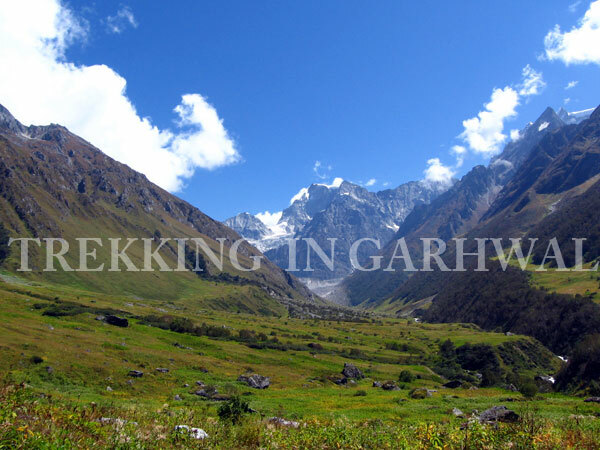 Apart from its obvious religious importance, Joshimath is known for its scenic beauty. Overnight in hotel!. After an early breakfast drive to Govindghat. Which is the starting point of the trek. 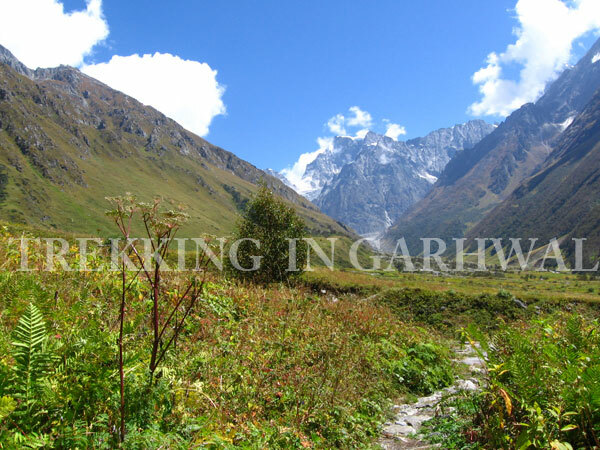 From Govindghat there is a gradual ascent along a well maintained pilgrim trail to Ghangaria. This is the stopover for those going to Hemkund Sahib and has several lodges and small shops selling day to day consumables! . Upon arrival at Ghangria check into hotel. Explore the surroundings in the evening. Dinner and overnight stay at the hotel. After breakfast trek to Hemkund Sahib (4329 m) from Ghangaria. This is a very steep climb. It is believed that Shri Guru Gobind Singh Ji came into being during the Sat Yug, the 'era of truth' as Dusht Daman, the 'destroyer of evil', was instructed to go to Hemkunt Sapatsring to meditate until he was called upon by God, and later reborn in Kal Yug, the 'age of darkness', as the son of the ninth Guru. Later, after his father's martyrdom, he became the tenth and final living Guru of the Sikhs. Late afternoon trek back to Ghangaria. Dinner & overnight stay at the hotel. After an early breakfast trek down to Govind Ghat and from here drive to Srinagar via Joshimath, Chamoli and Rudraprayag. Srinagar is situated in a wide river valley on the banks of Alaknanda river, and was the capital of the kingdom founded by King Ajay Pal during 1506-1512 AD .The attack by Gorkhas on Garhwal and its occupation from 1806 to 1815 AD, and the eventual action by the British led to their ouster. Srinagar thereafter became British Garhwal, as the latter was created as bargain for the flight of the invaders! Srinagar received its name from Sri Yantra- a centre of Divine Energy, a Siddha Pith since ancient times. There is an impressive number of temples, monuments and places which are worth visiting in and around Srinagar, and being slap- bang in the middle of the Yatra route, Srinagar has many hotels, lodges, tourist rest houses and dharmashalas. The town in its new Avatar is also an important educational and religious centre. Due to its central location Srinagar has graduated to becoming the biggest town in the area. On arrival check into the hotel. Dinner and overnight stay in the hotel. Early morning drive to Delhi via Haridwar. On the way visit Devprayag. Here the river Bhagirathi and Alaknanda converge and from here the Holy Ganges starts. Lunch enroute. Arrive at Delhi by evening. Overnight in the hotel..
Departure for airport to catch onward flight according to your flight schedule.